- The Ravyns are best known for their 1982 hit, “Raised on the Radio”, which was featured in the Universal film, Fast Times at Ridgemont High. The song was the second single released from the soundtrack of that film, receiving great critical acclaim in Billboard and instantaneous rock radio placement nationwide and abroad. With the success of “Raised..” came a full length album deal with MCA. The Ravyns was released in 1984, and once again lauded by critics on both sides of the Atlantic. Within one year, the band produced three music videos - “Raised on the Radio”, “Don’t Leave Me This Way”, and “Rhythm of the Heart” - the latter of which won MTV’s 1985 National Basement Tapes competition solely by viewer support. In more recent years, The Ravyns have continued to enjoy attention and notoriety by rock fans young and old as an important chapter in the eighties music scene. “Raised on the Radio” has appeared in many trivia publications and shows, has been recorded by various newer groups over the years, and still emerges in rock radio formats. In 1996, when Baltimore dubbed their new football team The Ravens, Kyf and partner Jumpin' Dave Woodworth composed "I'm a Rav'n Maniac" from an old Ravyns catch phrase as a theme song for the team. The recording marked the first time that all the Ravyns had recorded together since 1985, and is also available as a download at CDbaby.com. - The Ravyns are an American rock group from Baltimore, best known for their 1982 single Raised on the Radio, which was included on the soundtrack to Fast Times at Ridgemont High. In 1984, the group signed with MCA and recorded a self-titled debut album, and then won the 1985 Basement Tapes competition on MTV with the music video for Rhythm of the Heart. 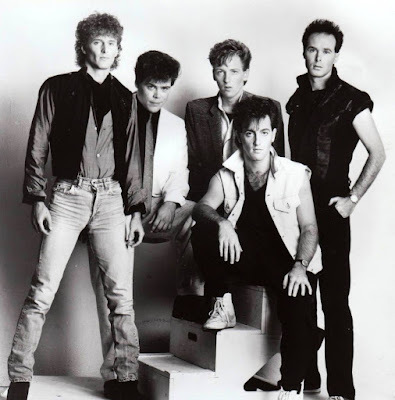 The first Ravyns line-up formed in 1979 and featured Rob Fahey (guitar and vocals), Kyf Brewer (keyboards and vocals), Bobby Hird (guitar and vocals), Lee Townsend (bass) and John Tracey (drums). Fahey had previously recorded an album in 1977 as a member of Baltimore group Hollins Ferry. The other members had all played together in another Baltimore band, Climbadonkey, which recorded an album in the 1970s that was not released until 2013. 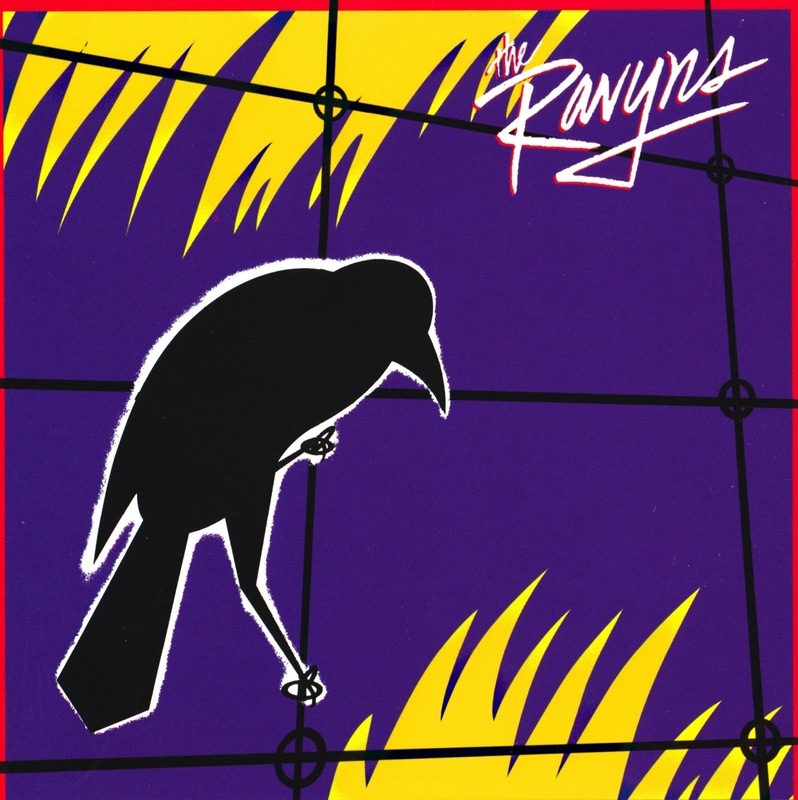 The Ravyns debut release was a four song EP which came out in 1981. By this time, Vince Crist had replaced Tracey on drums. Shortly thereafter, the group broke up. The Ravyns eventually reunited with a new lineup that included Fahey, Brewer, and Townsend along with David Bell (guitar) and Tim Steele (drums). This line-up recorded "Raised on the Radio" which was included in the film and soundtrack Fast Times at Ridgemont High in 1982. This led to a recording contract with MCA and the release of a self-titled album in 1984. Although the album was well-received, it did not become a hit and the band was ultimately dropped by MCA and later broke up a second time. Brewer went on to record several albums with Company of Wolves in the early 1990s. In 1996, the Baltimore Ravens football team got their name, and The Ravyns released a single called I'm a Rav'n Maniac—this was the first time the original group had recorded as a unit since 1985. In 1999, a second album called Remnants was released, featuring recordings the band made in the 1980s. A live album recorded in 1983 at Baltimore club Maxwell's was released in 2004. The Ravyns have occasionally performed reunion shows in the Baltimore area in the 2000s. In 2013, The Ravyns announced their intention to record their first album of new studio material since the 1980s. The album will consist of contemporary recordings of material that was written and performed by the band during their heyday in the 1980s. The projected release date is October/November 2014. - As anyone familiar with the Baltimore music scene in the late 1970s and 1980s knows, the NFL Ravens were not the first group to adopt Edgar Allen Poe's famous poem as their moniker. Formed as a local "supergroup" from two other well-known Baltimore bands of the late 1970s, Climbadonkey and Hollins Ferry, the Ravyns achieved some measure of national success in 1982 when their song, "Raised on the Radio" was included on the soundtrack of the movie Fast Times at Ridgemont High. Soon after signed to MCA Records, the band released one album nationally in 1984. Unfortunately, a lack of promotion on the part of MCA resulted in mediocre sales, which meant no second MCA album, which eventually led to the breakup of the band. Still, the Ravyns were one of the best bands ever to come out of the Baltimore area. This time he has a plan. After some 15 often-trying years in the music business, local rock favorite Rob Fahey has concluded that the best way to play the rock 'n' roll game is on his own terms. With his year-old band, the Pieces, Fahey has released a 10-song album, "Breaking and Entering," on compact disc and cassette. Instead of hustling demos to record company representatives, as he had done for years, the "30-something" Fahey decided simply to record and release an album himself on a local label called Milehouse Records. So now, finished product in hand, Fahey intends eventually to interest a major label in a distribution deal. That way, the label takes virtually no financial risk and Fahey retains full artistic control over his recordings. Experience has taught him that the traditional approach of trying to land a major label deal is fraught with hazards and rarely works. And Fahey has had plenty of experience. The Baltimore native -- he grew up in Rosedale -- has been playing in bands since he was in Overlea Senior High School. [M1]His first significant band, called Wizard, mostly covered songs by other groups. [M0]But shortly after he started attending classes at Essex Community College, Fahey began to grow more interested in writing his own material. "In college, I was taking engineering courses, sciences and stuff like analytical geometry," Fahey said. "I got sick of it. In my second semester I switched to music courses and was so much happier. Then I got into music theory and composition." The guitarist was eager to apply what he was learning in the classroom, and concentrated more and more on writing songs. "I started to get recognition for the songs I was writing and got into it deeper and deeper, until I couldn't get out," Fahey laughed. In 1976 Fahey formed a band called Hollins Ferry to perform his proliferating catalog of material. Hollins Ferry became quite popular and nearly was signed by rock mogul Don Kirshner. But the Kirshner deal never materialized. Hollins Ferry released an album locally before dissolving in 1978. Meanwhile, Fahey was earning his bachelor's degree in music theory and composition from Towson State University. It was in Hollins Ferry that Fahey developed his songwriting style, which has remained basically the same: a progressive, Beatle-like pop sound with strong melodies and thoughtful, if romantically oriented, lyrics. With just guitar, drums and bass, however, the Pieces have the most guitar-oriented sound of any of Fahey's earlier bands, particularly his best-known band -- the Ravyns. The Ravyns, formed in 1979, ranked with such bands as Bootcamp and Face Dancer as one of Baltimore's most popular original-playing groups of the early to mid-1980s. The band was a sort of local supergroup, joining Fahey with several members of another popular Baltimore band of the late '70s, Climbadonkey. Pieces drummer John Tracey was one of the former Climbadonkey members. After breaking up briefly in 1981 and losing Tracey and guitarist Bobby Hird to Crack the Sky, the Ravyns re-formed. The band had a single released nationally on Elektra/Asylum Records in 1982, "Raised on the Radio," which was included on the soundtrack to the film "Fast Times at Ridgemont High." 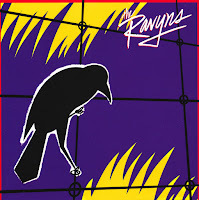 In 1984, the Ravyns released a self-titled album on MCA Records. By the time the album was released, most of the team that had signed the Ravyns left MCA, resulting in very little promotion for the record. It sold 30,000 copies nationwide, significantly short of the 50,000 most labels desire as a minimum for debut bands. The Ravyns split in 1986, partially because of problems with MCA -- the first album's poor showing led the label to decline the option for a second album -- and partially because of management problems. In 1987 Fahey formed a showcase band, Word of Mouth, that "fell into the club band trap" of playing out all the time and doing virtually nothing else before splitting in 1989. In December 1990, Fahey assembled the Pieces by stripping down a second showcase band to its essentials: himself, Tracey and bassist Mark Easley. After all this time and all these bands, hasn't Fahey ever thought enough is enough? "There have been times when I've had thoughts of quitting," he admitted. "But always in my heart I feel I have too much to offer to give it up. "I know I have a lot of fans who have been following me for years," Fahey continued. "I'll have these thoughts and then somebody will come up to me and say, "You're my favorite.' That gives me the spark to keep going, and it happens a lot." Fahey also has chosen to remain in Baltimore, despite the conventional wisdom that says rock musicians must move to New York or Los Angeles to "make it." "That doesn't always work out," Fahey said. "I've seen a lot of people go to L.A. to make it in the music business and end up as full-time messengers or delivery people." Fahey said he prefers staying in an area like Baltimore and building a base of fan support at the local and regional level. And then there's his family to consider. Fahey and his wife of seven years, Anita, have three daughters: Jessica, 12, his stepdaughter; Caylynn, 6; and Elizabeth, 13 months. After having visited Los Angeles several times, Fahey concluded it was "not a real good place to raise your kids." So here he has remained, preparing for yet another shot at rock 'n' roll success with the Pieces. In spring 1990, just a few months after they had formed, the Pieces began work on the "Breaking and Entering" album. Fahey had plenty of original material; all the group needed was financial backing. Fahey and Tracey came up with the same idea: ask Tom Antonis, owner of the 15 Mile House in Reisterstown. Antonis did not need much convincing. "I have a lot of confidence in Rob and I believe in the music," he said. Antonis created Milehouse Records, which has cost him about $30,000 so far, for the sole purpose of releasing "Breaking and Entering." Milehouse made not only the album possible, but also the do-it-yourself approach Fahey found far preferable to his experience with the Ravyns album. "The kind of control I got doing this, I would never get that kind of control with a [major] label," Fahey said. Not only did Fahey produce and master the album himself, but he decided the running order of the songs and even the cover design. "MCA changed it all around on the Ravyns album," Fahey said. "I thought they botched it terribly." It seems Fahey's new approach is working. Several of the songs on the album, particularly a track called "Beverly," are getting airplay on such Baltimore radio stations as WIYY and WGRX, and on Washington stations WWDC and WJFK. Russ Mottla, program director at WIYY 98 Rock, said his station added Fahey's "Beverly" to its play list because Fahey "has one of the most distinctive voices in rock 'n' roll." Mottla also credited Fahey's approach. "He did it the right way. The CDs and tapes are being sold through many outlets," Mottla said, noting that many bands fail to make their recordings widely available to the listening -- and buying -- public. The album can be found at music stores throughout the area, including Record & Tape Traders, Sam Goody, Recordmasters, Record Theatre and Sound Waves. Fahey said that since the band distributed 1,000 units to the stores in late October and early November, several already have restocked. For now, he said he wants to "try to get a strong enough buzz going here" before going for that distribution deal with a major label. In the meantime, Rob Fahey and the Pieces will continue playing their material at clubs in the area, patiently waiting for that "buzz" to get louder. The Ravyns: Surviving on the Baltimore Rock Scene - Is it Love or Suicide? I asked Kyf Brewer, the Ravyns' keyboard player and lead vocalist, to define the band's sound. "Well, if you put a gun to my head, ... you'd probably have to shoot me." Actually, the- Ravyns' music is not quite that indescribable, but the unique sound of this popular local rock group had been entertaining area rock aficionados for several years now. Having evolved from Climbadonkey in late 1978, the original Ravyns made their public debut on January 2, 1979. Brewer, bassist Lee Townsend, guitarist Bobby Hird and drummer John Tracey had picked up guitarist Rob Fahey from the band Hollins Ferry in the fall of 1978. The three composers (Brewer, Fahey, and Hird) pooled their original material and the Ravyns soon became one of the area's top local bands. Trouble started in February of 1981 when Tracey left for Crack the Sky. Another drummer, Vince Crist, replaced him just as the Ravyns began working on their first recorded material -- a four-song EP. The EP, which Crack the Sky nerve center John Palumbo produced, took much longer than anticipated and failed to generate a deal with a major record, label. For lack of a recording contract, the frustrated Ravyns decided to break up in August of 1981-- at about the same time their belated EP appeared. Townsend and Brewer formed a band called Passion with present Ravyns guitarist Dave Bell. Hird joined Tracey in Crack the Sky. Fahey packed up his demo tapes and went in search of a record label. Before long, the Ravyns decided to re-form with Dave Bell, but they needed a new drummer. Tim Steele was the unanimous choice. By early 1982, the new Ravyns were again performing in local clubs and re-establishing their reputation as one of Baltimore's premier bands. When the Cars were touring in the area, Fahey managed to get a Ravyns demo tape to Ric Ocasek through one of the Cars roadies. 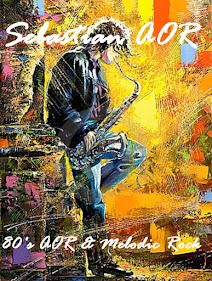 "Raised on the Radio" appealed to Ocasek and to Elektra/Asylum, for whom the Cars record. On August 2, 1982, the Ravyns made their major label debut with the single "Raised On the Radio," (which was backed with Don Felder's "Never Surrender") released in promotion of that summer’s film blockbuster Fast Times at Ridgemont High. Things went sour with Elektra/Asylum shortly after the single was released -- the Ravyns claim the company failed to promote the song properly. "They were disorganized and had distribution problems," as Fahey explains the group's decision to dump the label. Recently, Elektra/Asylum closed its West Coast offices. "After 'Raised On the Radio' it got frustrating," Bell admits. "We were turning down offers and being turned down ourselves. It was hard to find the right record company." The Ravyns have been negotiating with another national record company for some time. Although a recording contract seems imminent, the band at the present time could not yet reveal the company involved. Hopefully, this record company is the one that will make the Ravyns a well-known name not only in the Baltimore-Washington area but all over the country. Throughout their career, the Ravyns have always been known for a show that balanced solid originals with a carefully selected covers of songs by other artists. "We put quite a bit of effort into our songwriting," Fahey says. Fahey and Brewer write all of the current Ravyns songs (each generally sings his own compositions), most of which concern various aspects of romance. A number of considerations go into the creation of a Ravyns song. A primary requirement for all Ravyns songs right now is danceability, because the band makes its living by playing nightclubs like Maxwell's, Girard's, and the Seagull Inn. The more artistic, "listening" songs will have to wait for the Ravyns' first album. Brewer agrees: "Some other people don't think about hearing the same old love song lyrics all the time, but we do." Fahey and Brewer write their songs individually, then they bring them to the other band members for additional input and final polishing. "The final arrangement is a group effort," Fahey says, "which gives us a more unified sound than the old Ravyns had." The old Ravyns' problem was that Hird was the third main songwriter -- "one too many," according to bassist Townsend. “Each writer was going in a different direction. Now, Kyf's and Rob's styles are blending -- they're sort of like apples and oranges. Before, we lacked unification and direction." In the present Ravyns, both Bell and Steele write songs, but as yet the group has not been able to use any of them. Steele realizes that "with two main songwriters, it's difficult to get any exposure. We've got too many [originals] to play now." The creative spark for a Ravyns tune can come from anywhere; "it can be personal, or any kind of inspiration," Brewer says. "Sometimes I'll get a [song] title first, or a riff, or a melody, and I'll work from there. A lot of times I'll wake up in the middle of the night with an idea." The Ravyns' style ranges from old-fashioned rockers like "Rampage" to soft ballads like "No Regular Woman" and "Crying About It Don’t Do Any Good" to punchy songs of romance like "Lessons of Love," "Like Her So," and "Love or Suicide." The last category is the Ravyns' forte. These songs almost invariably feature an appealing, often aggressive, hook, a bouncy, danceable rhythm, and easy-to-sing-along-with refrains. The Ravyns say that no particular artists have had a major influence on their music, although the Beatles contributed to each of the group's members taking up music in the first place. (In case you're wondering, the average age of the Ravyns is approximately 27.5) In fact, Steele says that the Ravyns can play many Beatles songs without first rehearsing them -- and did just that a few weeks ago when they performed "Money" (which actually predates the Beatles, but the Fab Four did the definitive version of it) for an encore. The Ravyns choose the songs they cover as meticulously as they write their originals. Most of the covers are of recent releases by progressive, MTV-exposed artists, such as the Stray Cats, A Flock of Seagulls, Men at Work, the Clash, Peter Gabriel and the Producers, although the Ravyns have always played Clash songs. “Really, the covers are for the public," Fahey says. "Still, you can compromise without selling out. We've always done at least 60 percent originals. " Many people will not see a local band unless they are guaranteed they will hear something familiar. "When you're living on Kraft Macaroni and Cheese you realize that you'd better play something that will get you jobs playing in clubs," Brewer explains. Most of the covers, however, are compatible with the Ravyns' style-"What I Like" by the Romantics, for instance, is often mistaken for a Ravyns original. One cover, "Good Lovin" by the Rascals (also done by the Grateful Dead) has become such a concert favorite that the Ravyns may include it on their upcoming album. Yes, the Ravyns are, and have been working on their first LP. When the band finally secures a record contract, they will select a producer and will begin recording the album. What will be included on the long-awaited disk? "We have an abundance of material," Brewer says. "We must have over two hours' worth of originals already, and we're always working on new songs. We'll try to emphasize our new material on the album, although the record company and the producer we get will have a lot of input on the actual song selection." "Raised On the Radio" is the only definite inclusion at this point. "We'll have to choose our songs carefully because we'll be playing them [to promote the album] forever," says Brewer. "We're already sick of playing some of our old stuff." The production schedule for the Ravyns album is sketchy at best. "We really wanted an album out by Christmas of '82," Fahey says, "but now we're hoping to have it out by this summer, or at least by the end of the year." While the Ravyns crave success as much as any other band, they don't want to be on top of the charts for just one hit single or album and then forgotten. "That would be worse than never making it at all," Brewer says. "If we get one hit record, then we'll have to come up with more." "We want to be known for quality albums, and not just hit singles," Fahey adds. "Otherwise, the only good Ravyns album would be the Ravyns Greatest Hits. " The Ravyns' strategy for success not only includes producing. quality music, but also the utilization of such media devices as MTV. "We're working on scripts for videos," Fahey says. Townsend has seen the video explosion coming for the past three years. "It's more than necessary – it’s imperative. MTV and its competitors are creating a new perception of music, visual as well as aural." In addition to video, Steele would like to start playing more out-of-town dates. "With an album to promote, I think we could easily play in clubs in Philadelphia, New York -- all around the country. It's great that our fans can see us at Maxwell's all the time, but playing there every week can get boring after awhile. We need to keep things exciting by expanding our audience."